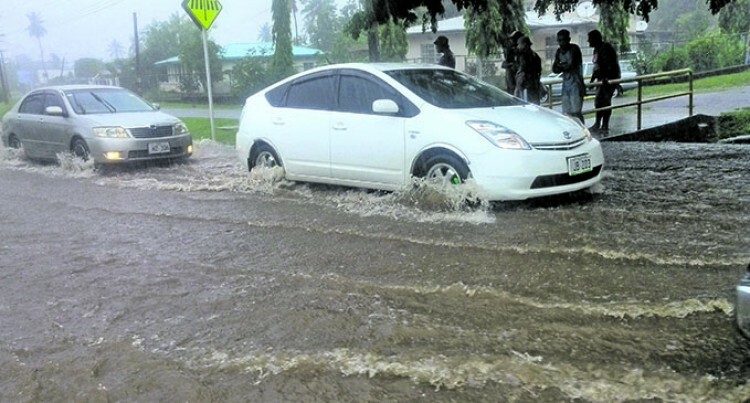 Flooding along a Lautoka road on January 14, 2018. Photo: Karalaini Tavi. Five people managed to escape serious injuries when their car was washed way while trying to cross the flooded river in Ra yesterday afternoon. Police spokesperson Ana Naisoro confirmed that it involved a rental car and the incident happened about 6pm at the flooded river at Yaqara Bridge. “They were rescued but the car is still in the river. It’s fortunate the five managed to escape serious injuries,” she said. The five includes three adults and two children who were on their way from Tailevu to Natalecake in Ba.